Home Unlock ZTE How to Unlock ZTE MF70 (MF70A) USB Wingle? How to Unlock ZTE MF70 (MF70A) USB Wingle? Earlier launched ZTE MF70 (MF70A) unlocking is now possible. It is currently available by Airtel India and Telstra Australia. We can now provide the factory unlock code for ZTE modems, routers, and phones. Once the device is unlocked, you can use any other network provider SIM card as well as the default. 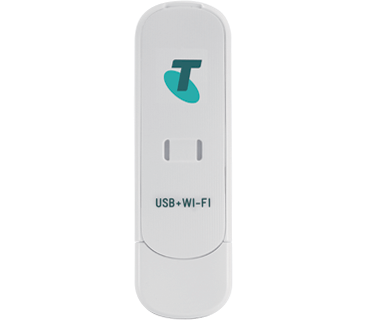 The MF70 (MF70A) is a 3G USB + Wi-Fi dongle. It can connect up to 5 Wi-Fi-enabled devices using its WiFi. With HSDPA its download speed is up to 21Mbps and upload speed limit is 5.76Mbps. It features Quad-band GSM and tri-band UMTS. It also supports up to 32GB Micro SDHC memory. It comes “Network Locked” and needs to unlock to use with another carrier SIM card. This modem costs around INR 1900 in India and 90USD outside India. How to Unlock ZTE MF70 (MF70A) USB Dongle? 3. Let it install the software and drivers which are required to run it. 4. Login to the device WebUI at 192.168.1.1. 5. Go to Settings > APN. 6. You should get an option to enter the NCK code. 7. Enter here correct SIMlock code. 9. Now your device is unlocked to use any network provider SIM card. Note I: Airtel MF70 does not ask for Unlock Code but it can be unlocked. Unlock code charge for Indian users is only Rs. 420, you can pay at payumoney. Note II: NCK of MF70 (MF70A) is not free. Note III: Before placing an order, check that the device is asking for NCK as mentioned in the post. If not work, then let me know. Next articleHow to Unlock Alcatel Link Zone MW40VD WiFi MiFi Router?